Now you're wondering what it would cost. Right? Find out on our Project Planner. SIGN UP FOR YOUR SPRING START UP FOR YOUR WATER FEATURE! 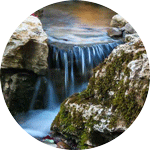 We offer 3 options of service when it comes to your water feature. Our Premiere Care Program, which offers all of the above, plus biweekly maintenance visits, EXTENDED WARRANTY on all Aquascape components, and all the TLC we can muster. ​Tussey Landscaping has been installing landscapes & landscaping, Outdoor Living Spaces, hardscapes, backyard ponds & waterfalls, patios & retaining walls, outdoor lighting, and outdoor audio for over 2 decades.​ We bring you over a hundred years of combined experience in creating Outdoor Living Spaces in the Altoona, State College, Johnstown, Bedford and surrounding areas. Tussey offers a lifetime warranty on hardscape construction, along with a lifetime warranty on Techo Bloc Products. ​5 POINTS TO COVER BEFORE HIRING A LANDSCAPE CONTRACTOR e-Book. Talk to an expert designer about your project. "Tussey’s crew were excellent: punctual, hardworking and extremely courteous. They transformed our backyard into a beautiful Oasis. Quality work all around. 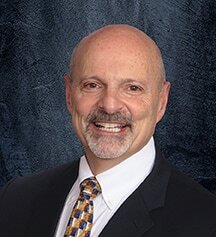 My husband and I are very pleased with the results of their work and entire experience." 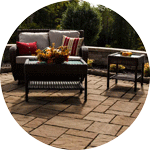 "Derek was wonderful helping us plan our patio. He gave us ideas and listened to what we wanted. Dan and his crew were prompt and what I especially appreciated was how every afternoon they picked up, cleaned and made sure that nothing was in our way. We have exactly what we wanted and are the envy of the neighborhood." "We knew what we were in for when asking Tussey Landscaping to develop a pond for our backyard, but we did not expect to not only have the greatest outdoor waterscape ever created , but to then meet the greatest people from A-Z. We have thoroughly enjoyed each and every one of you and look forward to working with you in the future." "After interviewing several outdoor landscape professionals, we contracted Tussey Landscaping to perform our outdoor work, and WOW did they deliver! We had several discussions with our Sales/Designer Derek Matthews, as well the Landscape team, and during the process they were excellent to deal with; they listened to our thoughts and even employed a few that worked out well, but more importantly their vision, attention to detail and QUALITY was second to none. They are smart, hardworkers that re-establish the word craftsman, a word you don't hear much any more. No cut corners, great guys that work seamlessly to provide the best quality work for whichever design you select. We cannot speak highly enough about the company, the QUALITY of work and the joy we get everytime we look at how they transformed our property."